Why does it have to be either/or? Both Chuck and Castle have devoted fans and decent ratings, and are entertaining, well-written, and well-acted. I just can’t understand people who watch reality TV. I for one have enough reality in my life, and I watch TV for a few minutes of escapism. Both Chuck and Castle provide that amply, and I would be sorry to lose even those few minutes to — what? Yet another cheap and dumb reality show featuring the most greedy, self-absorbed, and stupid people in the country? MELROSE PLACE SHOULD GET RENEWED!!!!!!! Congrats to Castle, glad to hear its holding up. I Love Castle!! I am doing the happy dance, yeehahhhhh!!! I agree CHuck is the only thing I ever watch on NBC. They cancel Chuck and I will never turn on NBC again. both of those shows are our favorites and tune in every week for. i am glad to see they made it to the top two finalists in the pole. i hope to see both stick around, great entertainment. both have excellent story lines each week, and i am happy with how they changed chuck up this season after the big save-renewal last season. NBC better not cancel Chuck! It’s the only thing I still watch on their network. really disappointed the Trauma didn’t make it. I really love this show. I also love Chuck. I think there were other shows that should have been axed: i.e. ALL reality shows. They really stink!!! My wife is a huge fan of Medium. If CBS cancels the show, she’ll be very disappointed. 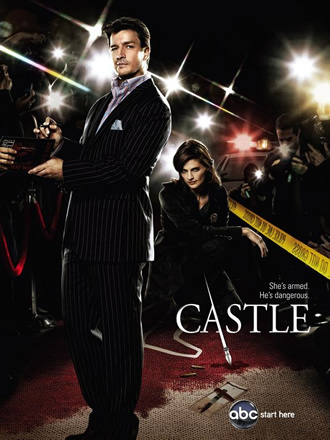 Castle of cuz need to renew but i think Chuck can renew also,the series got awesome story lines and casts… i would hope that Chuck will back for season 4 !!! I totally agree! My husband and I look forward to the smartly written and well-acted Castle every week. Castle is awesome, i have no idea WHY it’s on the bubble. I’m blaming reality TV for killing TV for everything else, and the people tune in to watch those car wrecks. Castle is awesome but it was up against TRAUMA so i had to put my vote there. Sorry to see that Chuck didn’t do well. It’s one of my favorites. I just hope that NBC decided to give it at least one more year.